Much like humans, dogs can also develop allergies. Here are some of the most common signs your dog may have allergies and the best ways to treat and alleviate them. 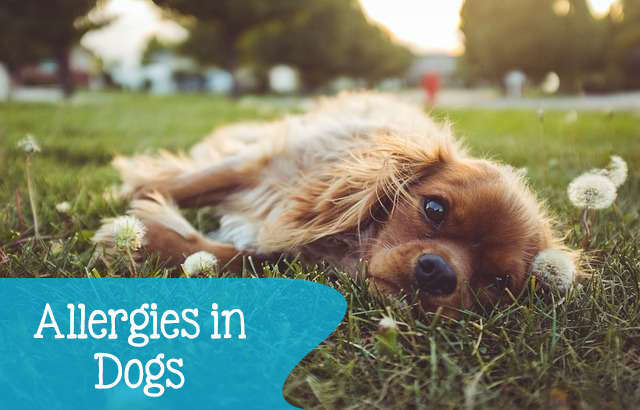 The most common signs your dog may have allergies are itchy or watery eyes, sneezing, snoring, itchy ears or ear infections, and diarrhoea and vomiting. Your dog may also have certain skin specific symptoms including itchy skin, hair loss, frequent licking, and swollen paws. Your vet should be able to diagnose your dog’s allergy by a physical examination of your pet. Where the vet is unable to determine the cause of your dog’s allergy, further tests, including blood tests may be ordered. Many allergies can be tested for with a skin patch test similar to the ones used on humans. Where the problem is indicating gastrointestinal symptoms, your vet may recommend a change in diet, and certainly it is often found that cutting out grains helps considerably. Read our page on going grain free for some more information. Observe your dog closely and if the symptoms go away, then your dog was allergic to something in their diet. You will then begin adding things back to their diet one food item at a time, to see if it causes a reaction or rule it out. Wherever possible, you should aim to reduce or avoid the allergen. Food allergens can be avoided by changing your dogs diet. Dust can be reduced by frequent cleaning, fleas can be avoided with flea medications and collars, and environmental allergens can be reduced by frequent bathing. 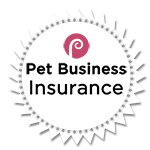 Where the allergen cannot be avoided or if you have an extremely sensitive dog, your pet may need allergy treatment. Vets may suggest the use of antihistamines like Benadryl, which successfully treat some types of dog allergies, however they are only effective for about 30% of dogs, and these dogs may eventually build up a tolerance to the medicine making it ineffective for them as well over the longer term. All medicines along with their dosage must be determined by an experienced vet. Some animals may need a stronger medication and for them the same corticosteroids humans receive for severe allergies will also be effective. These can, however have serious side effects and so should not be used for a prolonged period. Occasionally dogs can also be given allergy shots and for many, this may be the best long-term solution to their allergy problems.